Philippe Claudel’s novels have always tended towards the generalised and emblematic: in Brodeck’s Report the Second World War is never actually mentioned; in Monsieur Linh and his Child, which focuses on the experience of an immigrant arriving in Europe, no countries are specified. The Investigation (already published in America and due from MacLehose Press in January) takes this one step further by transporting us into a world of Kafkaesque farce. In another novel we might take this as an indication that the author intends the experience to represent his vision of hell, or his view that that life is hell, but here it already feels more in keeping with a literary in-joke. The hotel will offer numerous comic set pieces: later he will have to lift his bed in order to open the door to a luxurious bathroom where he discovers the only water is scalding. The Enterprise is equally, though less explicitly, inhospitable. A Guide provides him with a white coat and hard hat (completely unnecessary) and conducts him to an office where he is soon abandoned. Later the same man, returns as the Watchman and threatens him with a gun. If Claudel’s intention is to satirise big business then his targets seem very small scale. We are offered a few deliberately two dimensional characters to laugh at but no sense of how the Enterprise works. The novel does build towards a symbolic conclusion, but by that point it is difficult to say what Claudel’s target is. Perhaps he is simply suggesting that any search for the truth will be hampered and obstructed. We see this more explicitly in the Investigator’s search for food, something that touches on Claudel’s previous concerns as, when he finally feasts, it is in the company of immigrants who are given nothing. This is a rare moment when the novel seems politicised. Otherwise it is thoroughly entertaining, often amusing, but only occasionally unsettling. Claudel has taken his generalising to the point where any connection with the real world has been lost: yes, it is clothed in reality but it seems more fantasy than satire. This is perhaps why Claudel seems to insist on its fictionality a little too forcefully at the end. It’s great fun to read, and perhaps a little too much fun to write, but, like the Investigator, the Reader leaves the novel none the wiser. 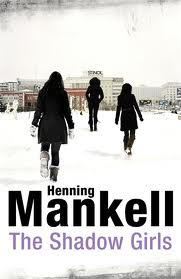 Henning Mankell apparently wrote the first Wallander novel, Faceless Killers, to engage with issues surrounding immigration in Sweden. Ten years later, having brought the Wallander series to an end, he wrote Tea-Bag (translated in to English by Ebba Segerberg as The Shadow Girls despite its already English title) which seeks to tackle exactly the same issue both more directly and more obliquely. The novel opens in the voice of Tea-Bag, an African refugee who makes her way first to Europe and then to Sweden after a chance encounter with a Swedish journalist. That she does this largely by walking and hitching across the continent after a near fatal crossing from Africa gives some indication of her strength of character. It is well known that Mankell has spent much of his time in Africa and he has written about it extensively, both in the Wallander novels and in stand-alone works like Chronicler of the Wind; I therefore fully expected this to be Tea-Bag’s story. An abrupt change takes place, however, twenty pages in when we are introduced to the character of Jesper Humlin. However, as the novel progresses, press announcements, plot synopsises, and proposed titles follow. Humlin also discovers that everyone around him is also writing a book: Andrea, his mother, his accountant; a fellow poet already has a crime novel in development. 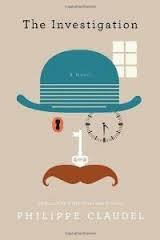 The novel is therefore partly a satire on the world of writing and publishing – as is evident from scenes of Humlin’s readings, another task the modern writer must undertake. Three women attend Humlin’s writing class, the public nature of which is in itself an example of cultural difference. As well as Tea-Bag, there is Tanya, on the run form an Eastern European brothel, and Leyla, a legal immigrant from Iran who suffers from the tyranny of her family. Slowly their stories unfold, sometimes told in their own words, at others through conversation and comments from the other women. Mankell’s decision to use Humlin as an intermediary may initially seem strange, but it is likely he wanted to focus as much on the difficulty in understanding as on the understanding. Tea-Bag, for example, remains unknowable to some extent throughout, appearing and disappearing at will. 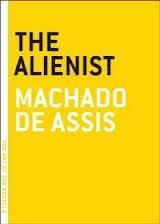 The ‘monkey’ which she refers to seems to sum up her otherness – a symbol from another genre of writing all together. Mankell also seems to have intended to leaven his serious theme with humour, in the same way he used police procedural in the Wallander novels to tackle a number of important issues. In this he has certainly succeeded. 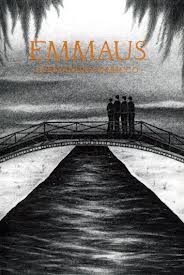 Whatever else you may think of the novel, no-one could accuse it of being gloomy. You are currently browsing the 1streading's Blog blog archives for November, 2012.